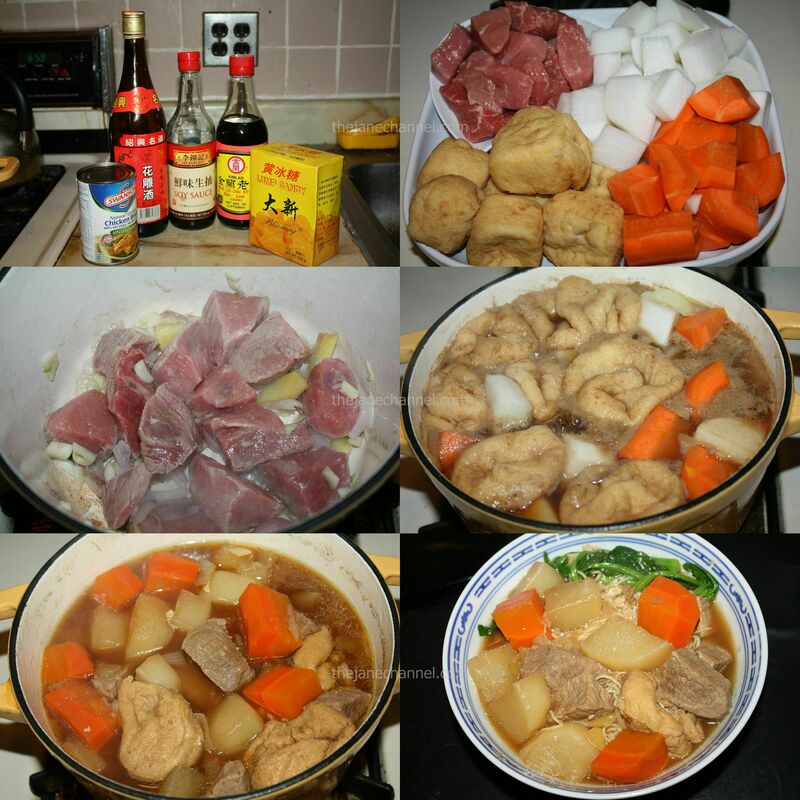 This is a basic recipe for beef and radish stew. 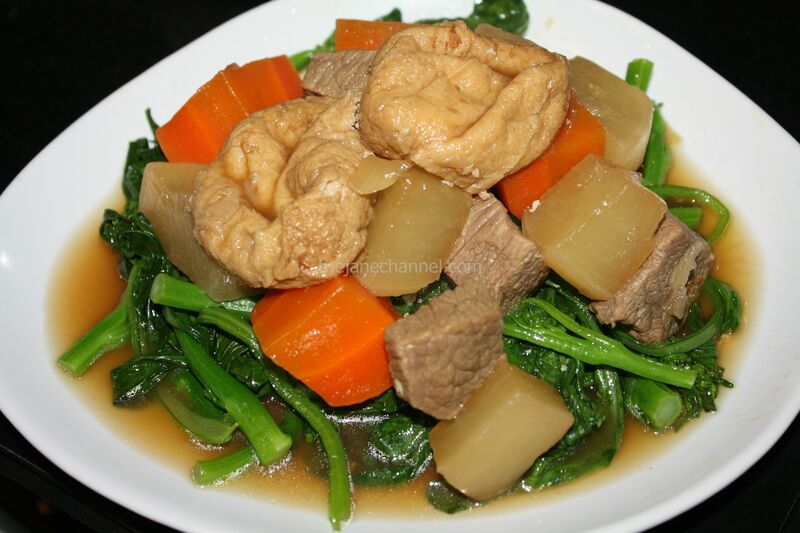 Serve with noodles in soup, in a clay pot or on the plate. Heat oil in pan. Add ginger, garlic and shallots. Stir fry beef cubes until it’s nearly cook (about 5-8 minutes). Add wine and cook for a few more minutes. Add chicken broth, sugar, dark soy sauce and soy sauce and cover. Bring it to boil. Stir in radish, carrots, and fried tofu. Lower the heat and simmers for 30 minutes, until all ingredients are tender. Taste and adjust seasoning, add more soy sauce if desired.